Know all the details about all the racing games you’re so used to playing but never asked yourself how they came to be or how much influence they have in your daily life. Racing videogames are without doubt, one of the most classic and most played genres in videogame history. They have been going on for quite some time and have an even longer list of titles. But how has this genre evolved throughout time, and how much influence does it have in our daily life? There are many kinds of racing games and racing cars; from the classic car designed to speed with it, over funny and exciting racing tracks, up to games that allow you to create your own car or those that give you the chance to pilot a spaceship or even a tank. 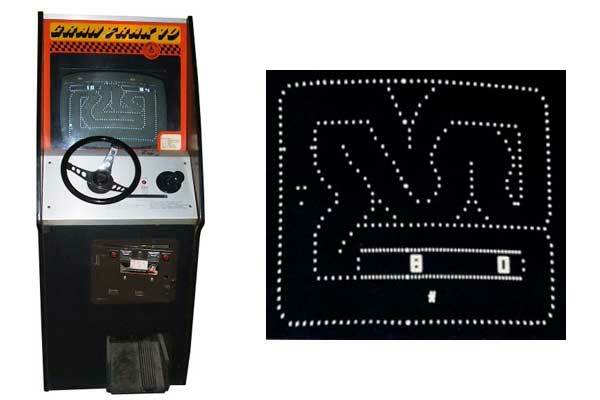 In fact, the first racing videogame was not a car or bike racing game, as you might have thought. 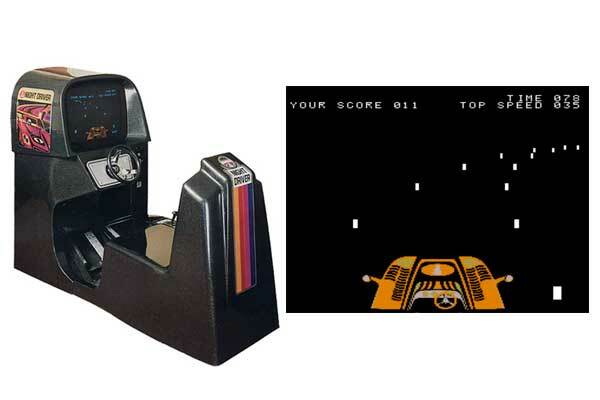 It was a futuristic racing game, in which you piloted spaceships and hat to compete against others to reach the winning post without getting hit by meteorites and asteroids—and of course, win more points than your rival. 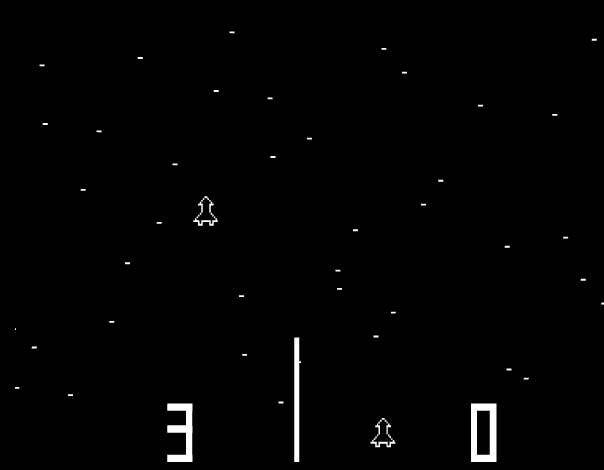 The game is called Space Race, was launched in 1973 and it was the second videogame Atari created for Arcade. In this videogame, two players piloted a spaceship each on a split screen with a timeline that slowly consumed itself. The mechanics were simple but quite addictive, with aerial view, in black and white and a design with little details. Just one year later, Japanese company Taito launched Speed Race, which held on to the simple design and aerial view. However, Speed Race stands out because it was the first racing videogame which used cars and had scrolling graphics. It was designed for a single player, who had to overtake other cars and avoid colliding with them. 1974 was also the year Atari launched the racing game Gran Trak 10, which used cars this time. 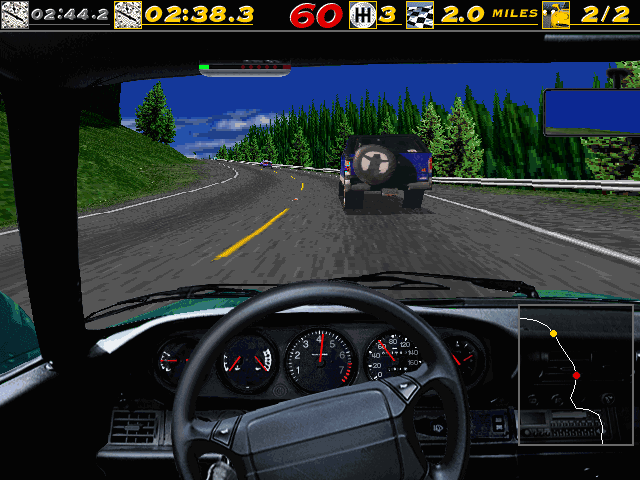 The player had to drive through winding tracks and gain as many points as possible before time ran out. Sega was the first who introduced a racing game with a back view in 1976. In Road Race, instead of controlling the vehicle from above, you control it from the back. The goal was to guide it through a track full of curves, always trying not to drive out or collide with the other cars driving. On that same year, Atari launched Night Driver, the first videogame to have a first-person point of view. However, up to these days, the most common point of view in this type of games is the view from the back. 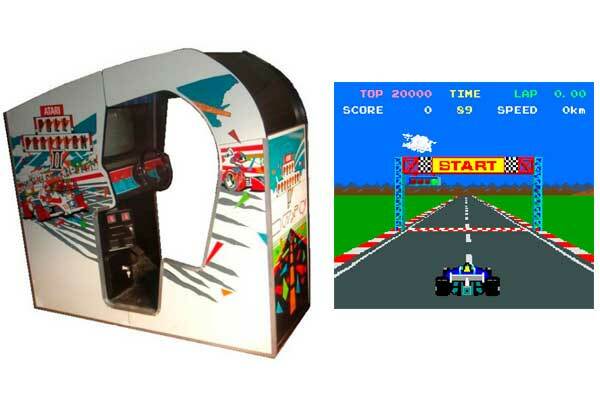 Namco was the one who launched and made it famous due to the success of their game Pole Position in 1982, with license from Atari. This game was designed by Toru Iwanati, who also designed the iconic Pac-Man, and simulated a Formula One race. 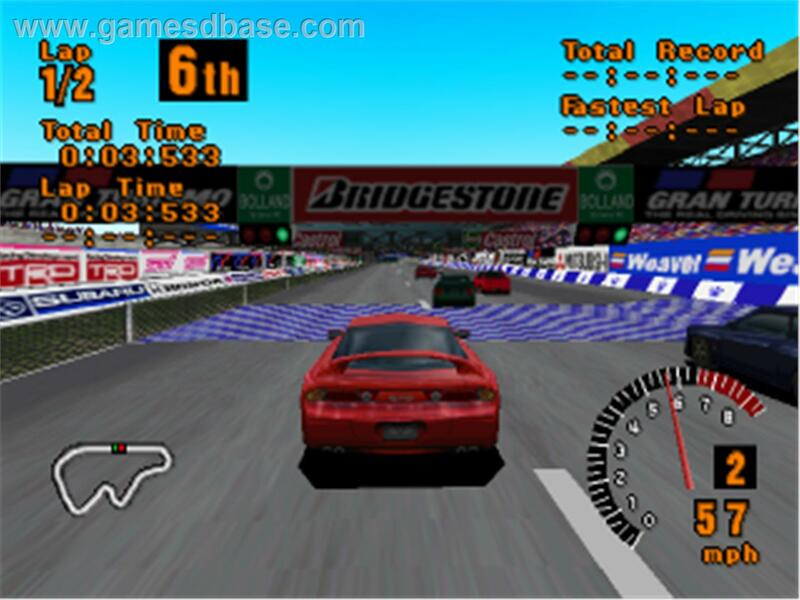 In fact, it was the first game to use a real track (the Fuji one in Japan) and a ranking system by finishing time. The simple design would be dropped to make way for colourful backgrounds, more detailed tracks and realistic cars. These more advanced graphics were only possible with the use of modern technology that introduced the use of sprites. With the 80s came a type of racing games that didn’t only consist in driving and being the fastest. In 1983 Bally Midway got inspiration from James Bond to launch Spy Hunter: a game in which you had to drive a cutting-edge vehicle and attack the passing enemy cars with a wide variety of weapons. Today, we know this type of game as combat races. Amongst these combat races we can find many different titles, such as the popular Mario Kart, which marked this particular genre in which the key is not speed or driving, but a quick ability to use the powerups and the elements to attack your enemies. Mario Kart was born in 1992 for the Super Nintendo (SNES) and since that moment it was always a total success with 11 different sequels for different consoles. But not all combat car racing games are as amicable as the friendly plumber and his friends. Destruction Derby is a game that was launched in 1995 by Reflections Interactive for PlayStation, Sega Saturn and MS-DOS for PC. It consisted in destruction races, with the sole purpose of destroying the vehicles. In the game, the player has to clash against the other cars and destroy them to gain points. So, as you can see, racing videogames aren’t only limited to actual races like Formula One or rallies. 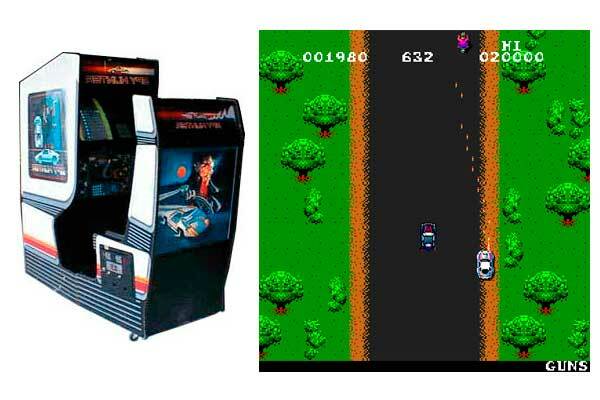 There’s a wide variety of police persecution games or urban races such as Electronic Arts’ (EA) popular Need for Speed, which gets its name from a quote from the movie Top Gun. This classic appeared in 1995 and became an instant success thanks to its detailed car and track design, and introducing police persecutions in urban surroundings and missions that have to be completed at high speed—all the while maintaining an arcade playability. And then there are also the ultra-realistic car videogames called simulation games, which basically consist in driving and knowing how the car works. You’ll need to know at what speed you have to take a curve and how to drive different verhicles to have a driving experience as close as possible to real races, which is what these games seek. They’re aimed at a more patient public, people who don’t only want to have fun and win races, but they’re really passionate about this kind of competitions. That’s the case of Sony’s successful Gran Turismo series. The first game came out in 1997 and thanks to its absolute realism, not only when it came to the cars, but also driving and track design, it became the most sold PlayStation game. Can that hyperrealism influence the players when they have to take a car in real life? According to a research done at the Xi’an Jiaotong University (China) about the influence of racing games on reckless driving, which was published in the magazine Injury Prevention, players of these types of games tend to take risks when they have to take decisions during critical situations. Experts divided the participants into two groups, after having them undergo a personality test. The first group played a game similar to Formula One for 20 minutes, and the other group played Solitaire—a neutral game in comparison—for the same time. 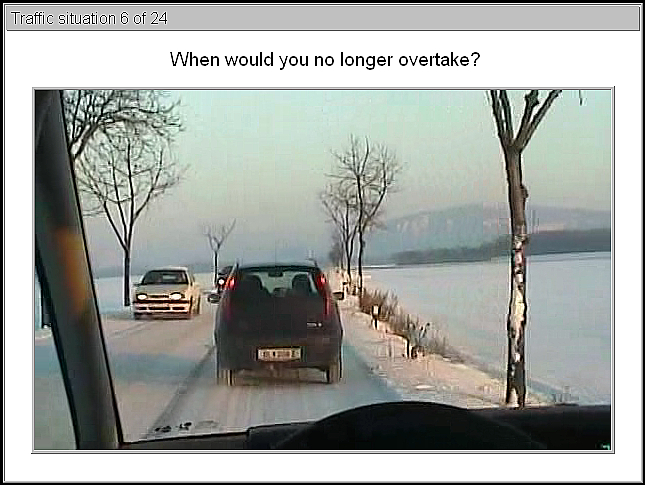 5 minutes later, the participants had to take the Vienna Risk-Taking Test in which they have to answer 24 questions about risky situations from the point of view of a driver. The time it takes to click the ‘stop’ button serves to measure the disposition to take risks while driving. Those who had been playing the racing game waited for an average of almost 12 seconds to click the button, while the group of Solitaire players waited 10 seconds. Catherine C. McDonald, professor at the University of Pennsylvania School of Nursing, told Reuters that “videogames can affect a person’s behaviour, but that individuals who play these games can get qualities that those who don’t play would never acquire.” In fact, the study also showed that participants who appeared to be more adventurous when taking the personality test tended to take more risks. After a second experiment, the research concluded that participants who had been playing a more violent racing game and then a more relaxed one, would take more risks. However, Teresa Senserrick, professor of Transport and Road Safety at the University of New South Wales explained to Reuters that it’s obvious that 5 minutes after playing a more violent videogame one would take risky decisions in another racing game, but that it didn’t mean one would act the same way in real life. She also added that the research never mentioned whether the participants had a driving license or gave any details about their driving. In any case, playing Happy Wheels Racing Movie Cars the only thing you’ll do is have a good time in true Wacky Races style, driving iconic cars like Scooby Doo’s Mystery Machine or the Delorean from Back to the Future. It’s a funny racing game with side view, which also has a few missions to solve, just like Nintendo’s (NES) classic bike game ExciteBike from 1984 or Fingersoft’s more recent Hill Climb Racing, which they launched for mobile devices in 2012.